Anita are a German lingerie and Swimwear brand who pride themselves on impeccably made products for style, comfort and perfect fit. The company’s innovative Michelle bathing suit creates a slim silhouette with figure-flattering gathered sections at the front to ensure that you look your very best. Flattering and oh-so comfortable to wear in gorgeous turquoise, this beach style is nicely rounded off with a flattering, romantic sweetheart neckline and comes in 32-46 B-E. Famous for their outstanding fit and uncompromising comfort level, Anita has been producing delicate designs tailored to individual needs and style, perfected through expertise since 1886. The stunning Michelle bathing suit costs £75, see the full range at clairewoodall.com. 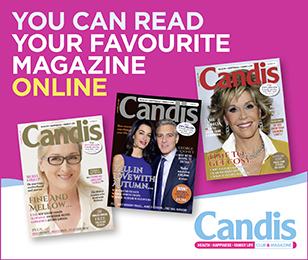 Even better, you can win one of three Michelle bathing suits in Candis – watch out for our Glorious Giveaways in the July issue! One of these swimming costumes would be great for my forthcoming holiday in Kos. This green one looks brilliant.